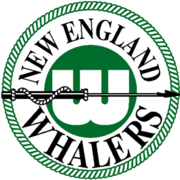 The Whalers were hampered by numerous off-ice factors. Hartford was the smallest American market in the NHL and was located on the traditional dividing line between the home territories for Boston and New York area teams. This limited the team's marketability. Additionally, for most of the Whalers' tenure as an NHL team, the Hartford Civic Center was one of the smallest arenas in the league. At its maximum, it seated just 15,635 for hockey. The team averaged over 14,000 fans only twice in its 15 years at the Civic Center. They averaged only 13,867 from 1980 to 1997. Most of their sellouts came when either the Bruins or New York Rangers played in Hartford, bringing thousands of their own fans with them.